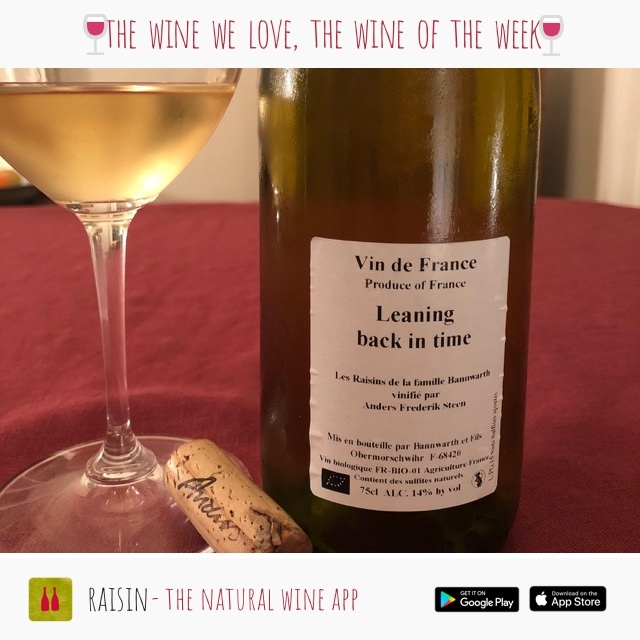 2015 Leaning Back in Time from Anders Frederik Steen – David’s Wine of the Week! Made from the biodynamic grapes of Stephane Bannwarth, from 50 year old vines in Obermorschwihr, Alsace. There is so much going on here, it warrants a chapter in a book to lay it all out. Anders started as quite a nomadic winemaker from his base way up north in Copenhagen. First as sommelier at Noma and Manfreds, then work got going further south with Jean-Marc Brignot, when he was still in the Jura, and with the Bannwarths in their semi continental Alsace vineyards. Anders and family are now settled in Valvignères in the Ardèche, making his main set of cuvées at Le Mazel domain. But the work still goes on with his winemakers network. This fabulous and interesting wine comes from the baking Alsace summer of 2015. This is wine from grapes and just grapes. Your zero zero approach. From limestone scattered marl on rolling hillsides below the Vosges forests. Fermentation started in fibre tanks left outside for six months to settle and pose in the Alsace winter. That’s my idea of temperature controlled fermentation. Then the juice was brought into the Bannwarth’s cellar and moved to well aged barrels. I suspect a bit of secondary fermentation kicked in with spring temperatures. Two years passed with little interference and lots of checking and tasting. The barrels weren’t topped up, so there is a well defined oxidative tram to the wine. We opened it in San Francisco. The wine was just off clear and a bit opaque. Making you think it will have volume, and it does – big style. A bit oxidative on the nose and ripe, ripe white fruit. Lovely weight in the mouth, rich textures with super ripe pears. Looking for a bit of nuttiness but the rich ripe fruits chased it away. Great energy and tension, with acidity to balance the ripeness. Nice lingering bitter finish. The residual sugar is only 2 grams, but Anders texted me to say the memory of sugar is still there. This is terroir wine. 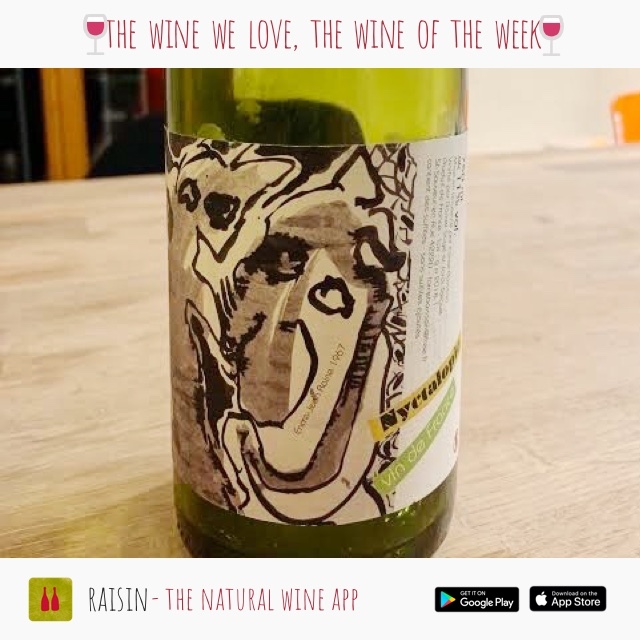 That terroir is based around these Alsace vineyards to the south of Colmar where Frick, Schueller, Ginglinger and Bannwarth are defining a particular natural wine style that sits with hot summers and freezing winters in the cellars. It’s great to see an “outsider” like Anders, adding another piece to this puzzle. This is another part of modern Alsace, painted on that canvas by an artisan winemaker with a wide range in his attitude and approach. RAISIN IS EN ROUTE TO CHICAGO FOR THIRD COAST SOIF 2019! 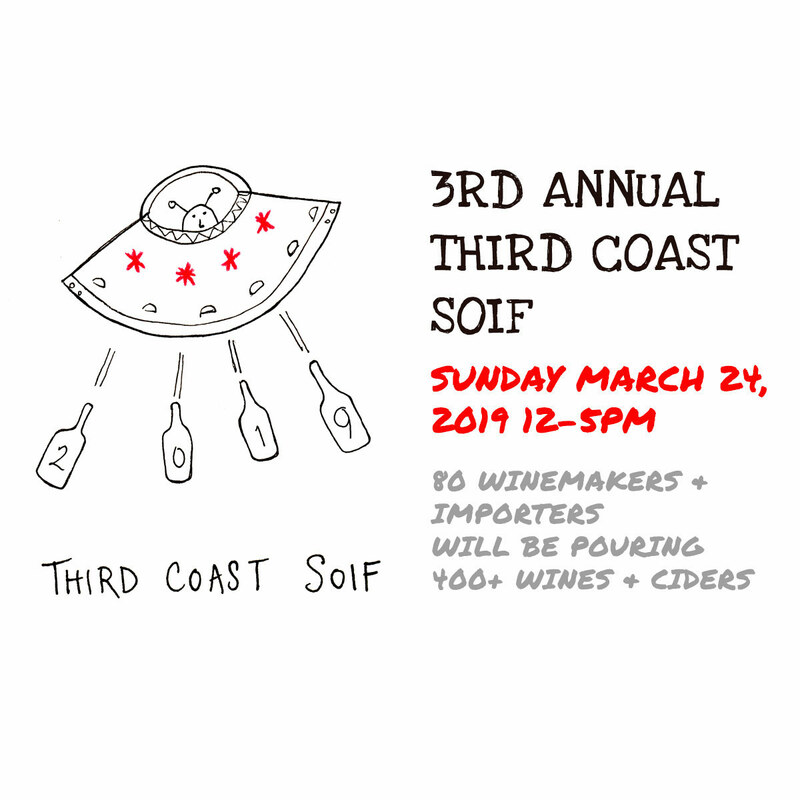 Third Coast Soif was born out of a 2016 conversation among Chicago-based wine professionals, with the intent to put together a non-trade wine tasting that celebrates/champions naturally made wines and their creators. The basic tenet is to have consumers attend an event where they can meet the winemakers and importers, and taste the wines that they represent and love while talking to them face-to-face. The inaugural Soif was in March 2017, with 250 people tasting wines from 32 producers and importers. This 3rd annual Soif has grown with the demand of the people, with almost 80 winemakers and importers pouring over 350 wines for 600 attendees. The has been sold out for a month, without any advertising or even much media coverage. For those who didn’t get a ticket, there are several “off-Soif” events surrounding Sunday’s fair, so check the event website for details on who will be where. 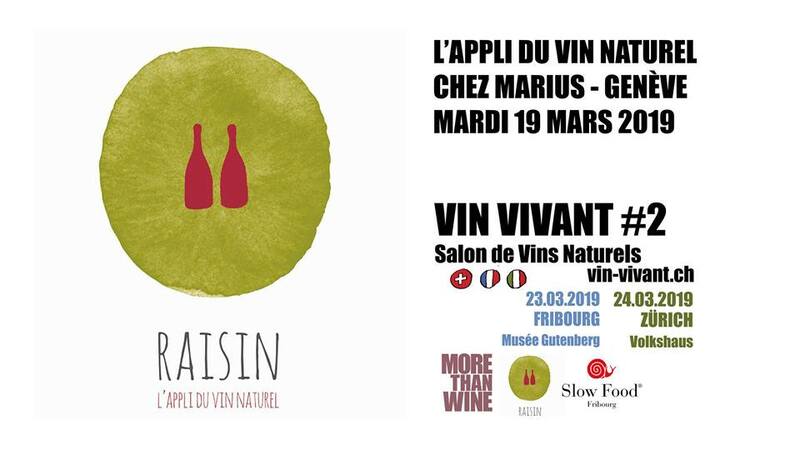 At Café Marius in Geneva on Tuesday March 19th, Raisin, the Natural Wine App invites you to discover the application which helps you find wine bars, cellars and restaurants with at least 30% natural wines. Jean-Hugues Bretin, creator of the app, as well as Cédric Blatrie, partner, will be there with us. 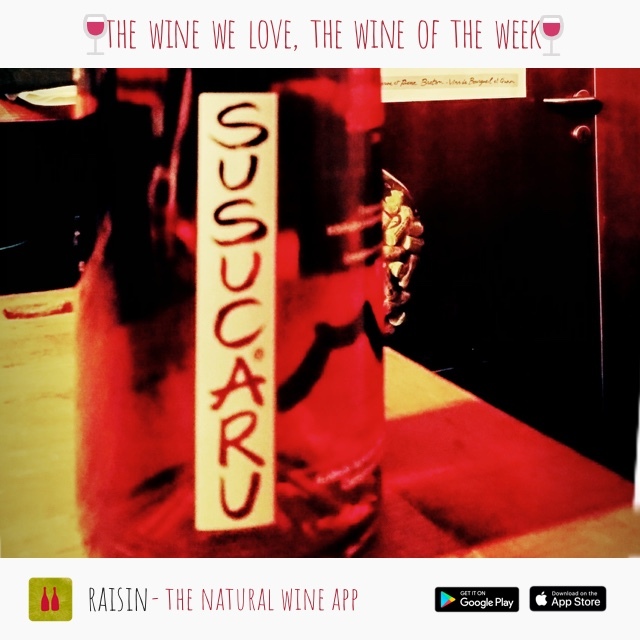 The perfect moment to discuss and discover all new features on the app, like scanning wine labels to discover what you’re actually drinking… and a lot of other new stuff! Happy to welcome you there, of course with a glass of natural wine in hand! I first tried this incredible wine just before the holidays, when I got to share it with a few friends. What a great moment. I like everything about Daniel Sage’s “juices:” I like the light red color, the flavors, and the fresh taste that Nyctalopie expresses. The complexity is also there, creating a real emotion evoked from this wine. One problem: the bottle is gone way too quickly. Daniel Sage mastered his craft teaching himself, and has been making wine in the Rhone Valley since 2011. 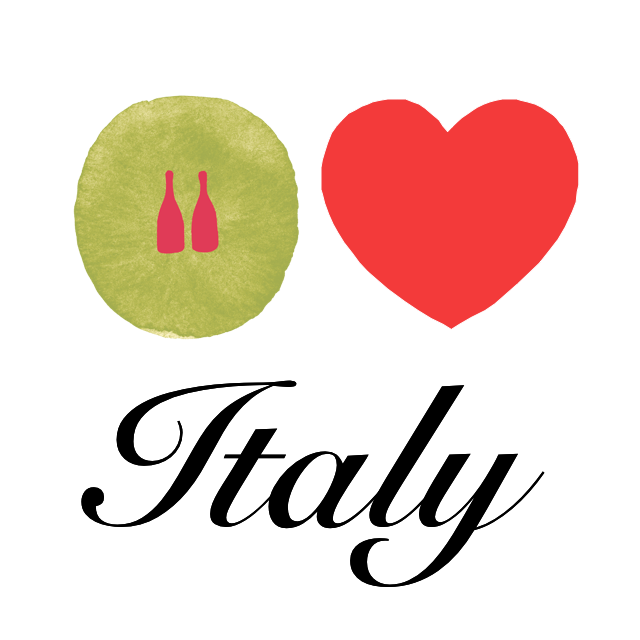 Every single one of his wines is special, intense, fresh…alive!!! When you drink Nyctalopie, you can tell how the blend of Gamay and Pinot Noir go really well together, and we become completely absorbed by the flavors of fresh red fruits, spices, notes of graphite, and pomelo. Here, we are far from the conventional wines of the region. This is a great bottle to share…without moderation.